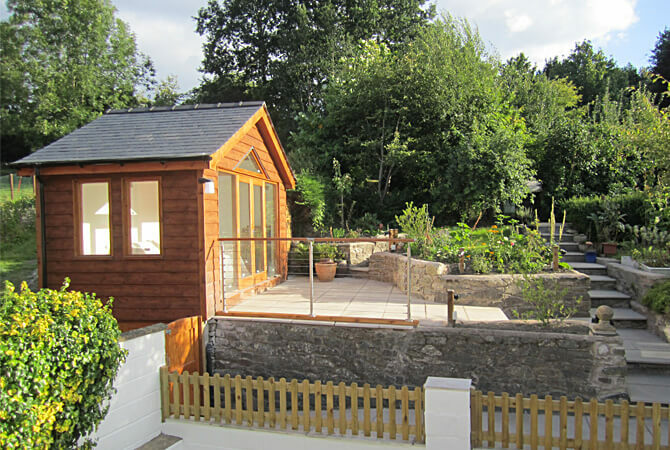 A neat and tidy balustrade installation on the raised garden patio area of a private residence in Llanfyllin. S3i manufactured and supplied the component parts for a straightforward DIY installation by the customer. 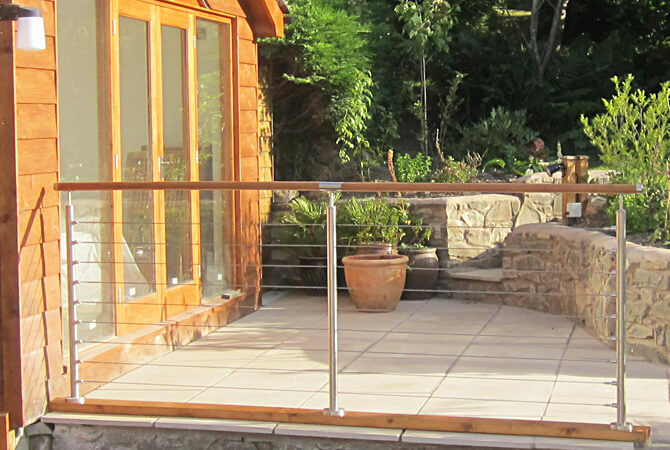 Balustrade posts and tensioned wire infills wire have been manufactured from 316 grade stainless steel, making them perfect for outdoor use. The wire infill is perfect for maintaining the view, yet at the same time providing additional safety. 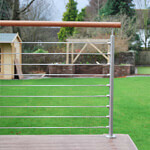 The timber handrail has been treated to withstand the elements.